Is it normal for Huawei to restrict people from posting? Not a great look for the company. 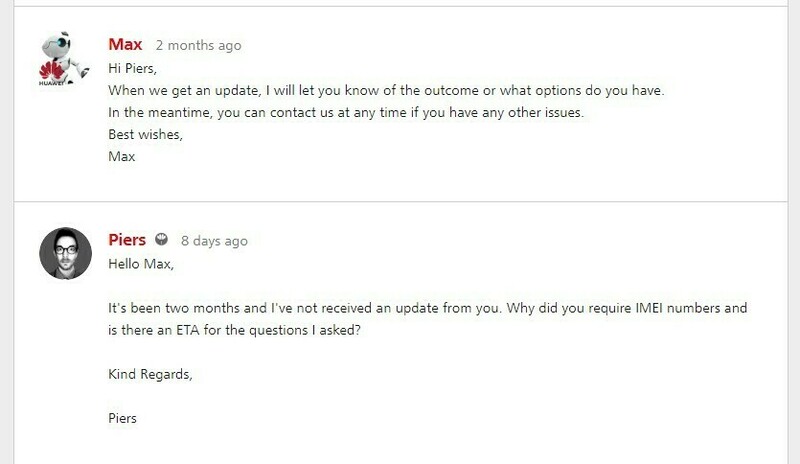 On top of that, I've been waiting two months for a reply for a support request. At the moment the function to post new topics in the Our Products subforums is disabled because there are a lot of double topics. If you have questions you can post them in an existing topic or in the 'Ask a question' category. Me or another mod will move or merge the thread if necessary. I will also ask the support team to answer your questions as soon as possible. Sorry for the inconvenience! It's now possible to start new topics in these forums again.